He’s the Executive Supervisor of the Eurovision Song Contest who’s overseen some of the most radical changes to the modern contest. But it’s now clear than Jon Ola Sand has switched at least some of his attention away from Europe and towards the rest of the world. Speaking to Eurovision Fan House, he has confirmed that the European Broadcasting Union is discussing the option of creating a Eurovision-style contest for the United States of America. And while the topic may be on the table for discussion, Jon Ola also suggested that we may not be seeing ‘Americavision’ on our screens in the next few years. “This is a long term strategy for sure to see how far outside of Europe the brand can reach,” he said. So what would Eurovision America entail? While Jon Ola doesn’t mention anything else about the contest in this most recent interview, he has previously alluded to the format of the show. Such a contest would be similar to the Bundesvision Song Contest in Germany, between its 16 Bundesland. You can hear his comments from 14:00 below. Will Eurovision America ever happen? With the EBU’s current deal with Viacom to broadcast the Eurovision Song Contest live on Logo each year, the US may slowly be warming to the idea of Americavision. The 2017 contest managed to gain an audience of 64,000 viewers in the US (up from 52,000 in 2016). However, if history repeats itself then we may not want to get our hopes up just yet. In 2006, multiple American media agencies, including Futon Critic, announced that NBC had gained the rights to a Eurovision-style contest for the country’s 50 states, plus the District of Columbia. The contest was to be decided 100% by public voting, although the exact details were never publicised. Unfortunately, the contest never came to fruition. However, the fact that these new reports come straight from Jon Ola Sand himself may give hope that more substantial discussions are now underway. Although the biggest takeaway from Jon Ola’s interview may be the two lines mentioned about Eurovision America, he did speak about other aspects relating more to the European contest. He doesn’t anticipate changes to the voting system, as the current system is the result of years of research and analysis. Jon Ola also gave a brief outlook on the upcoming 2018 contest in Lisbon and said that officials are currently gathering the best core team possible to run the show. Are you looking forward to the possibility of Eurovision America? Who would you like to see represent what state? Let us know in the comment section below! Jonathan is a Eurovision fan from the United Kingdom. Although he's watched the grand final every year since 2005, it wasn't until 10 years later that he began to research further into the contest, in addition to the national selections and junior contest, becoming a complete fanatic. He's now decided to teach himself a number of European languages to aid his Eurovision experiences (though don't expect him to be fluent in any for at least another 10 years). You can follow him on Twitter: @JonathanVautrey and Instagram: @jonathanvautrey. Do you know what could be exciting????? Let American countries vote. If they cannot participate singing in the contest, they could vote as same as Europe and Australia. They already do it through social media. 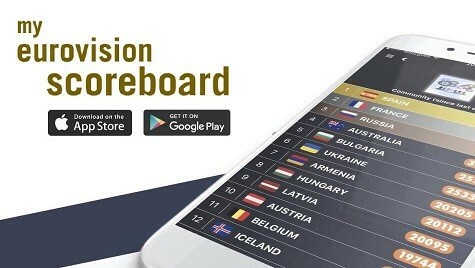 Can anybody imagine USA, Canada, Mexico, Brasil, Argentina and some other countries giving their 12 points ??? They could begin with USA and Canada voting! They need to make an Eurovision America for the whole continent, not just the US. It would be super interesting (and yes, there’s more than reggaetón here, even among top 40 music). Or bring the OTI festival back, independent of the EBU. ESCUSE ME AMERICA IS FROM ARGENTINA TO ALASKA, PLEASE GO TO SCHOOL AGAIN OLA SAN, OH I UNDERSTANSD YOU HAVE FEAR BECAUSE THE 80% OF THE CONTRIES SPEAK SPANISH AND SURE ALWAYS USA WILL LOST, JA JA ONLY THE MONEY IS IMPORTANT, REMEMBER THAT THE MUSIC IN AMERICA HAVE TO MUCH VIEWS IN YOUTUBE THAT THE EUROPE MUSIC. …But I did know that the CBU (Caribbean Broadcasting Union) had a contest of its own; the Caribbean Song Festival. Maybe the OTI (whose last winner came from the U.S., after a decade that saw Spain win 4 of its 6 titles), the CBU and one or two other multinational broadcasting organizations can put their heads together and make the Song Contest of the Americas a reality. 12 points from Kentucky go to… Tennessee! 0 points from the televote go to… WYOMING!!! JUST the UNITED STATES!?!? I’M Argentinian and i can’t understand how they can call themselves AMERICA as if the other countries didn’t exist… Que se metan el america vision en el culo!!!!! I believe that USA will not take part of Eurovision. Instead, they will explore what’s in Eurovision and they will make a counterpart of it which has a world-wide audience range. Americavision would be really cool, considering how each state (or region at least) has individual music characteristics that separate it from the rest. My only concern is how would they fit 50 states in? Two semi-finals of 25 and then a final? Still seems like a lot. As an American fan of Eurovision, I cannot see this working out. There are so many factors that makes Eurovision work so much easier as a European contest that would not work for The Americas. well I like the voting now, espacially when they present the votes, it’s so exciting. I would rather see Finland in the finals than Australia, but you know Isaiah’ song wasn’t bad it’s not like the juries send San Marino, Montenegro or Lithuania to the finals.. And I agree with jury most of the time – this year they were right about Romania and Croatia. Yeah, one thing that makes the new voting system good is the exciting process! I also wanted Finland in the final! But it’s ok! It will remain a great song for me! I hope Eurovision USA Song Contest will happen, and my biggest worry is that American citizens will not accept something that is so obviously coming from Europe. They tend to say…we have our own shows, thank you very much. American states are different, but it remains to be seen if they want to respect that, because we saw in ESC how most sing in english, the same genres. If it were just Eurovision USA, maybe it could work. A contest involving all of the US states, territories and commonwealths would be a lot more likely than a contest between all of the American countries. Not really. We would get a bunch of raggae songs in Spanish that all sound the same. A US states and Canadian provinces, including US territories (Puerto Rico, Guam) would be interesting. Well maybe if there isn’t just states competing(they have almost completly the same culture, so the show would be boring as hell). But if South America, and the other countries of North America compete, maybe, but yeah I can’t wait for Asia Eurovision – but in America as someone said before they have like 3 languages spoken around the whole continent, so yeah… but that idea of states competing(Ola Sand said it’s not their idea(of EBU), but the US broadcaster) it’s just terrible, I would never watch that, and it shows how are Americans arrogant. Why don’t they just do the Worldvision? I think it would be fun. Also the World Idol back in the early 00s which was a mess! Nah. An American version would be overkill. So now in addition to the annoying “5 artists that India needs to send to Eurovision Asia,” you will bore us with “will Beyonce represent who he f*ck cares”? It does sound as a intriguing idea but 50 states competing would be a nightmare to produce. Ether to have two or three semifinals and maybe 25 states in Grand Final but let every state vote? Obviously it would have to be changed somewaht to make it American and really make it thier thing. Similar to how Pop Idol became American Idol. Wonder if there would be neighbour voting. How would that look? All New England states giving high remarks to each-other? All the East Coast states supporting each-other? East vs West? Could be fun to watch.. If they want an Americanvision, EBU must should talk with Organización de Telecomunicaciones de Iberoamérica (OTI) to revive own American Eurovision death festival in the 2000’s. Neighbour voting at its best. Too many Spanish speaking and Caribbean nations, which will make US, Canada and Brazil an analogy to UK, Germany and Spain. Brazil can get points from rest Spanish speakers! the US and Canada will have to vote each other + get votes from English Caribbean speakers because they will get a fat 0 from Latin American countries which will make difficult them to win the contest here even if they send Madonna or Beyonce. Brazilians don’t speak Spanish, but Portuguese. But Portuguese and Spanish are almost the same language! Also, music in Spanish isn’t big deal in Brazil, not as much as in English. I’m Latin American Spanish speaker and live near the Brasilian boder and belive me that music in English isn’t deal here when they have their Latin neighbourds. I’m Italian and I live in Brazil. Both Italian and Portuguese are my native languages. So in his interview he spoke of state-on-stage competition, not nation-on-nation. Would be curious to see if there are state allegiances — south voting for the south, northwestern states voting for northwestern states, etc. We would have country songs from half of the states, from Montana to Virginia to Mississippi. And of course, a country winner four times out of five–just look at their talent show winners! This. We would get a bunch of raggae songs that all sound the same. I can’t see it taking off in America the continent. Literally three main languages are spoken and there aren’t many cultural differences between the countries. You have no idea what you’re talking about. Yes, there are four main languages (Spanish, Portuguese, English and French), but there is more than enough cultural diversity to make a super interesting contest. Mexico is completely different from Colombia, Argentina, Dominican Republic, Haiti, Barbados, Aruba. Reggaetón is not the only genre even in Latin American pop. You can’t think a whole continent’s music scene is the three songs you hear on European radio just as we can’t think all of Europe’s music scene is David Guetta and Avicii. Sounds great. Just as long as I don’t have to listen to lots of sour Brits drone on about how much they ‘hate those Yanks’. Eurovision in Latin America has been telecasted over 20 years here via TVE, RTP and RAI as well due our diasporas. But those are European broadcasters with special worldwide broadcasting. Not those countries showing them, like Brazil which is an Associate member of the EBU. Brazil can watch ESC live via RIP or TVE! Yes, but it is not the official Brazilian broadcaster that is an Associate member that does it. Whether Brazil cares or not RTP and TVE would still transmit it idiot, and the fact that the Brazillian channel doesn’t proves they don’t care. Get it through your thick skull. Brazil doesn’t have a tv station at EBU, but a radio station LOL.. Yes, TV Cultura, which is a Tv channel reserved to educational programmes. The largest Brazilian TV enterprises are all private. Remember though that Eurovision started with 7 countries, and even today not every eligible country participates. If a USA show happened, I could see maybe 20-25 states taking an interest – the coastal states in particular, and Tennessee, with its powerful country music industry. I’d be so curious to see how each state would handle its song selection – the details would be super interesting, and of course would have a huge impact on participation levels. It’s a nice idea. We’ll obviously have to be patient and keep our expectations modest. I guess I’m on board, in theory – if the E.B.U. have a hands-off approach – there first priority is to the European contest – and please, please, please don’t let this lead to a U.S.A entry in the Eurovision. I love America, truly, but…no. William, has the Eurovision next top male model been chosen yet? I can’t seem to be able to recall seeing the results. Have i missed it somehow? I believe they already have. Imri won. Oh god no! I don’t America to participate in Eurovision as I’m sure they’ll treat it like a joke. Considering how they made Pop Idol into their own, as long as the format is handled by the right people then all is good. The American states will just compete against each other in a Eurovision like contest.